Aloha! We are Regan and Louie Colburn. 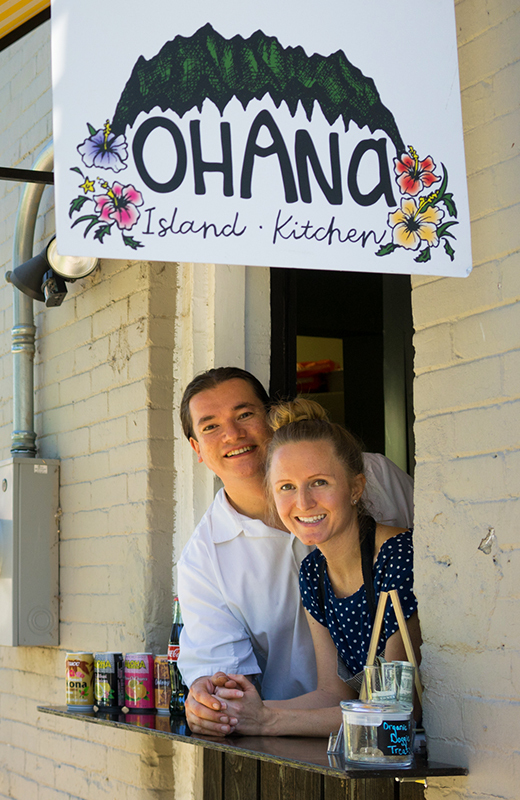 We started Ohana Island Kitchen in June 2016 out of a take-out window across the street at the Truffle Table. 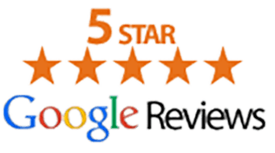 We are a veteran-owned and family-operated business. Louie was born in Japan and grew up in Hawaii from age four. Regan is a Colorado Springs native. We exercise meticulous care in the preparation of our food. 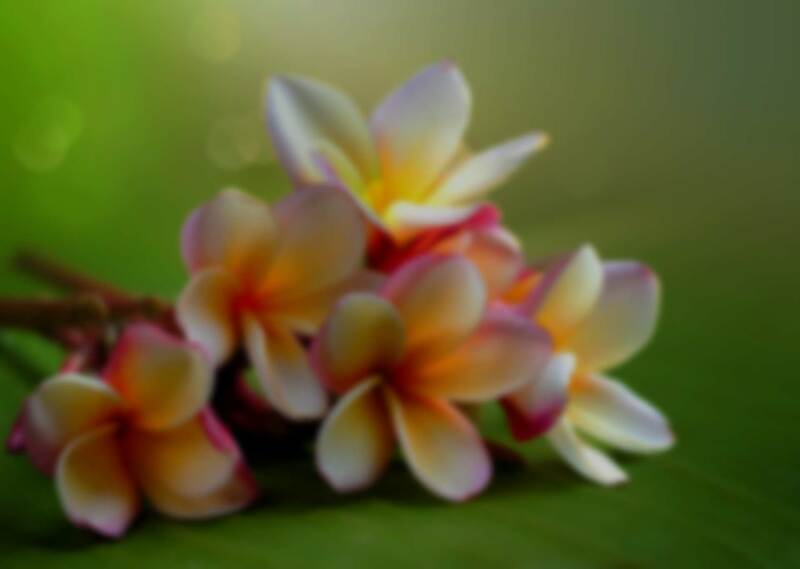 Our food is made from scratch each day; true to the flavors of Louie’s Hawaiian upbringing in Kaneohe, on the island of Oahu. 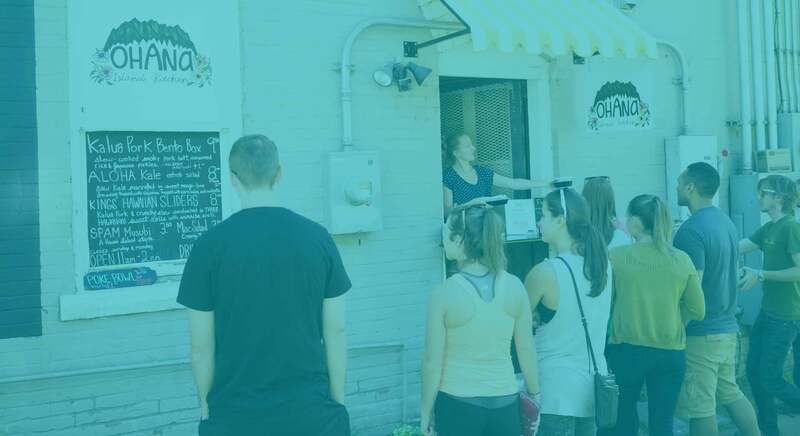 During our first week operating from our take-out window, we were thrilled to see customers come back; each time they brought a new friend or family member and soon our single picnic table was not enough! We added one more picnic table, a couple umbrellas, and transported Hawaii’s island vibe to LoHi. Regulars would tell us we brought everything but the beach! What started as a small operation quickly gained traction, and we luckily found our own space in this historic building in the fall of 2016. Our menu is small because it is an extension of our original take-out window menu—constrained by the space limitations of a shared kitchen & pop-up concept. 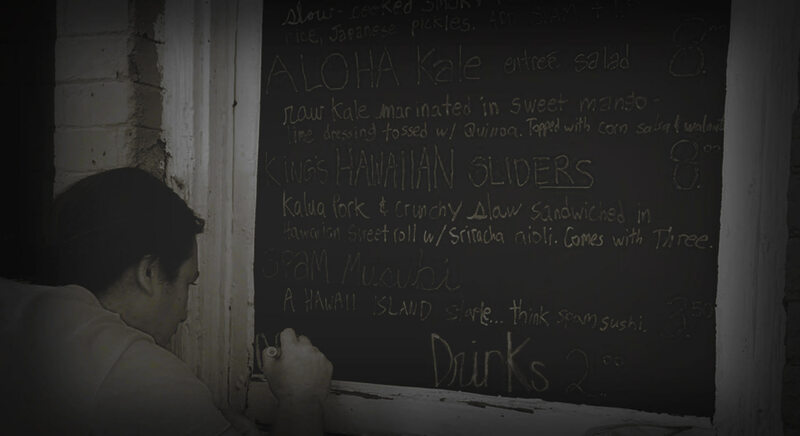 Louie was required to creatively overlap minimal ingredients and still make tasty Hawaiian food. We are credited as being Denver’s OG poke spot; selling poke only as a weekend special before the poke craze took off two summers ago. We sold out each time; customers would tell us it tastes just like you get in Hawaii—simple, deeply-flavored and with no-frills. While you may not see all of your favorite island staples on our menu, we serve each and every item with the highest degree of excellence and consistency. This is what keeps our regulars coming back, and this is our backbone; especially in garnering recognition from food critics and media. Thank you for visiting Ohana Island Kitchen. 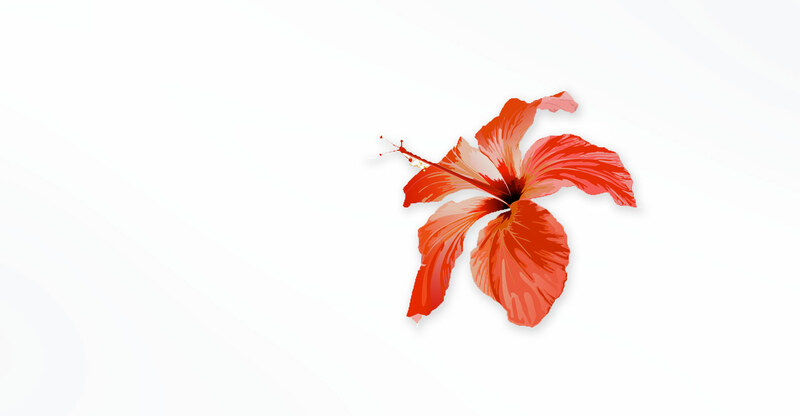 We hope to brighten your day with our purposefully-crafted food and deep Aloha spirit. Served over freshly steamed rice. Blown away. Beyond delicious. (I recommend reading the “info” side of the menu to appreciate how the business came to be. Legit OG Hawaiian roots.) I can already tell that future poké places I visit will be judged against this as the standard. My workplace loves Ohana. It's a daily conversation deciding if we should stop it. It's always a worthwhile conversation. The food is fantastic, the staff is amazing, and the outdoor seating is great. If you haven't eaten at Ohana's, you should. ASAP. I have yet to try something on the menu that I haven't loved - the food is fresh and bursting with flavors. The team here is absolutely delightful and it's a treat to make time out of my week to visit this place! I've only had poke once before. But this was phenomenal. I got the spicy tuna poke and the fish was fresh and there was a lot of flavor in the sauce. The macaroni salad had a lot of unique flavors too. The staff was very friendly. If you ever want to know how authentic poke tastes, you have come to the right place! I have come back numerous times and have finally landed on ordering spicy poke all the time. Everything is so amazing, but the pork sliders are by far my favorite!! Staff is friendly and accommodating. The food tastes great. The Best Poke Spots Around the U.S.
& Extreme Weather. Call Ahead. © 2016 Ohana Island Kitchen. All Rights Reserved. Ohana now open at nights!